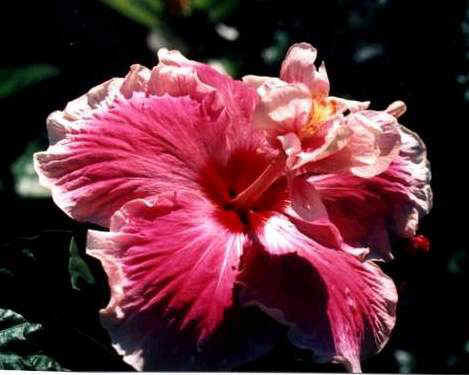 JEAN PATRICK - 7 to 9 inch single pink with white edges that usually has flags coming out of the pistle in the pollen area. Very graceful and flowers easily. A compact growing plant.